NEW YORK, April 24, 2018 /PRNewswire/ — Assess+RE (www.assessre.com), a leading cloud-based provider of financial underwriting and analysis software for commercial real estate (CRE), today announced it has successfully closed its seed funding round, led by Ranieri Strategies LLC. Ranieri Strategies was founded by Lewis S. Ranieri, an industry pioneer and creator of the securitized mortgage market. This funding round enables the company to grow engineering resources and expands its marketing and sales capabilities within the $15Tn CRE market. Assess+RE (www.assessre.com) is creating the next generation of cloud-based software for underwriting and valuation analysis within the Commercial Real Estate (CRE) market. Assess+RE seamlessly integrates property level assumptions for single assets or portfolios with 3rd party CRE data to provide a faster, more transparent, and easier way to analyze commercial real estate transactions. Built by industry domain experts and subject experts from Columbia University’sreal estate finance program, the Assess+RE platform provides user-friendly dashboards and reports for both equity and debt analysis which can be exported and shared with everyone in the CRE transaction value chain. Assess+RE provides the highest levels of data security and is accessible through any standard web browser, tablet, or mobile smartphone. 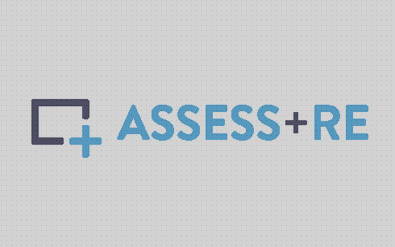 Assess+RE is headquartered in NYC, with regional offices in San Francisco and Los Angeles. Ranieri Strategies LLC is a family office established by Lewis S. Ranieri and his partners to invest in, develop, and apply innovative technology and software solutions across a variety of industries including financial services, real estate, and media. Investing in real estate is a profitable business, so if you are a self-employed real estate investor looking for a local real estate lending, check out this site.